reCAPTCHA is a free CAPTCHA service that helps digitize books, newspapers and radio broadcasts in the past. 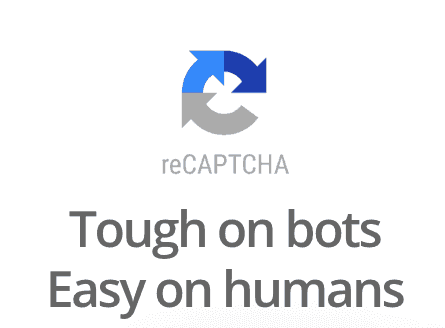 CAPTCHAs are usually used to avoid bots and spam attacks on a website. Google inc. The largest internet company has made CAPTCHA services to facilitate the developers to secure / avoid spam attacks on websites built.